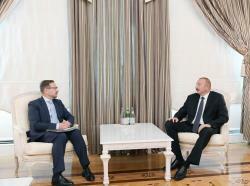 President of Azerbaijan Ilham Aliyev has received Secretary General of the OSCE Thomas Greminger. The head of state pointed to a broad agenda of the issues to be discussed during Thomas Greminger’s visit, describing the settlement of the Armenia-Azerbaijan Nagorno-Karabakh conflict as one of the topical ones. In this regard, President Aliyev noted that the contradictory statements on the settlement of the conflict made by the Armenian prime minister from the very beginning of his activity are at least surprising. 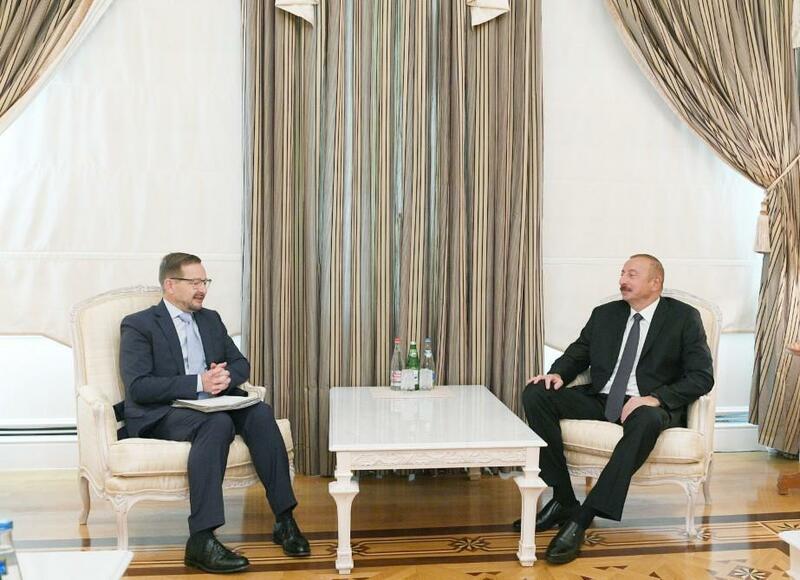 President Ilham Aliyev called on the OSCE not to turn a blind eye to massive violations of human rights in Armenia on the pretext of democracy, the Armenian prime minister’s instructions on the arrest of his political opponents, and the emergence of a new dictatorship regime in Armenia. During the conversation, the sides exchanged views on the issues relating to regional security, democratic development, transport and economic cooperation.